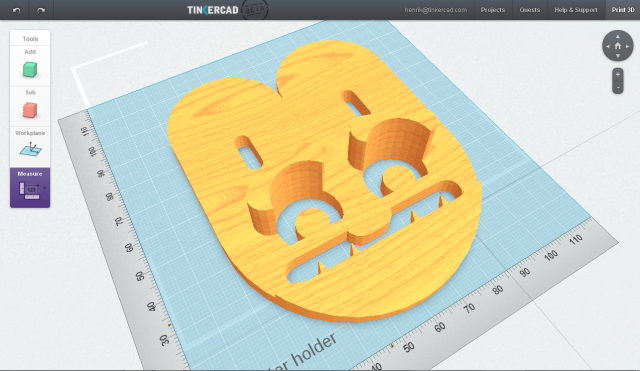 Exclusive – Tinkercad, a startup that aims to introduce browser-based 3D printing CAD to the masses, has landed $1M in seed funding from True Ventures, Jaiku founder Jyri Engestrom, Delicious founder Joschua Schachter, Eghosa Omogui and Taher Haveliwala. The company’s mission is to ‘reach and teach’ a wide audience on the use of CAD software and creating ‘fun and meaningful’ things like jewelry, toys, car parts and whatnot, using 3D printers. Kai Backman, Tinkercad’s co-founder and CEO, explains that one only needs a browser and a couple of minutes to use its browser-based software and have a 3D project ready for printing. “We use game-like quests to teach what we call ‘design literacy’, understanding the design of physical things. By lowering the barrier of entry, our users have been able to create and print a wide variety of awesome items”, he adds. 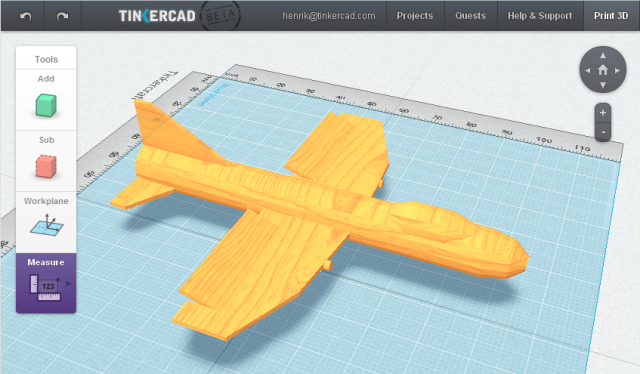 Tinkercad is free, and encourages sharing designs under a creative commons license. Once users create designs with the software, which seems pretty easy to use based on my rudimentary testing, they can order designs directly from printing services like Shapeways and i.Materialise or download STL files to use other printing services or personal 3D printers like Makerbot’s Thing-O-Matic. If you’re into this kind of stuff, check Tinkercad out, and I would also urge you to also visit GrabCAD.